USB port offers convenient data transfer to a PC in CSV format using the standard software supplied. 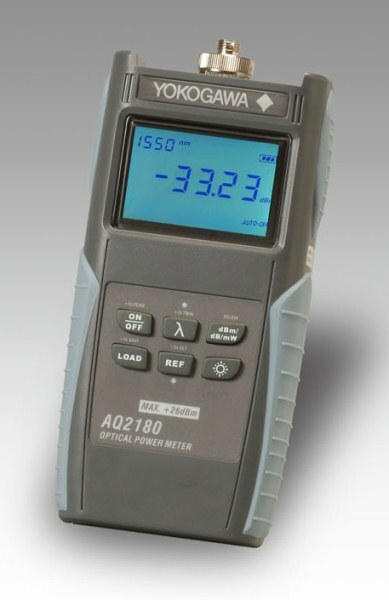 Wavelength is automatically selected when the AQ4280 and AQ2180 are paired together. This feature eliminates the the extra step to manually setup the power meter wavelength and eliminates possibility of invalid measurements due to misconfi gured wavelengths. Rechargeable batteries may also be used to reduce the operational cost. Auto power-saving feature also extends battery life. Basic items included as standard accessories.